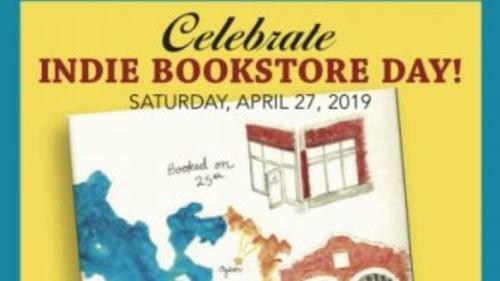 Celebrate the 5th annual Independent Bookstore Day with TKE! Take a look at our exclusive Independent Bookstore Day merchandise, and stay for our exciting events!Events include:11 a.m. Sesame Street Storytime12 - 5 p.m. Utah State Library Bookmobile1- 2 p.m. Poem Pros2 p.m. Dr. Bonnie K. Baxter and Jaimi Butler | The Great Great Salt Lake Monster Mystery7 p.m. Heather Armstrong | The Valedictorian of Being Dead: The True Story of Dying Ten Times to Live (tickets here)We aren't the only ones celebrating IBD around the valley, either! 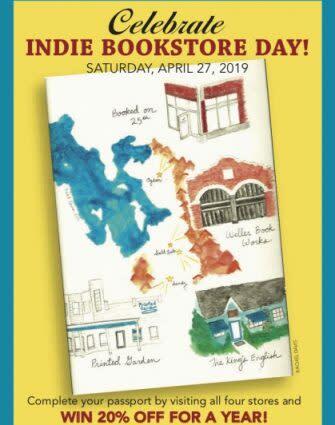 We're collaborating with other indie bookstores in the region for our annual Bookstore Crawl!